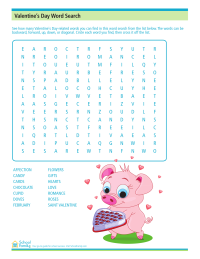 Rearrange each group of letters to find words related to Black History Month. 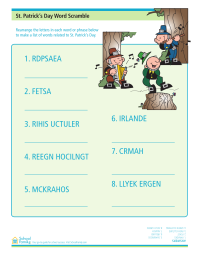 Rearrange each group of letters to find words related to St. Patrick's Day. 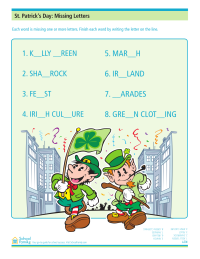 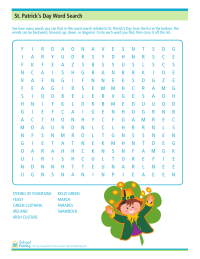 Can you guess which letters are missing in this St. Patrick's Day-themed missing letters worksheet?